Los Angeles, CA – United in their mutual commitment to reaching gender parity in television directing, the Alliance of Women Directors (AWD) and NBC have joined forces to launch the NBC/AWD Director’s “Craft Enrichment Series,” a set of master classes for emerging female episodic directors. The new series will cover key skills in scripted directing with a spotlight on important on-set partnerships with showrunners, actors, writers and editors. Among the participants will be AWD members and finalists of NBC’s Female Forward, the network’s talent pipeline program for scripted female directors. 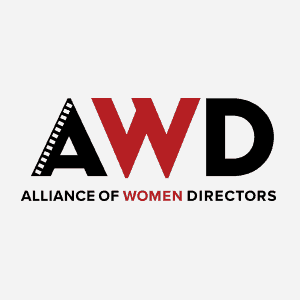 As part of the series, emerging directors will have the opportunity to engage, learn from and be mentored by working episodic directors within AWD’s membership. “The lack of employment is not the sole reason for the Alliance of Women Directors’ outspoken advocacy, but rather we also want to address a more serious problem, the importance ‘of which stories get told, and by whom,’” said Jennifer Warren, Chairperson and Founder of Alliance of Women Directors. “The feeling of being invisible, of being alone in the world, is created by rarely seeing images that reflect you or your life. We want to change that but can’t do it alone. The new NBC/AWD Director’s “Craft Enrichment Series” will be under the umbrella of AWD’s existing premier “Craft Enrichment Series” that cultivates, educates, and supports the next generation of talented female television directors through master classes, hands-on workshops and panels with top industry professionals. The first master class in the series will be “The Director/Editor Relationship in Episodic Television” led by Phillip J. Bartell, editor of “Dear White People”, and will take place next month. Future master classes will prepare directors to secure shadowing opportunities, book episodes and optimize their skills and experience on-set. Since 2000, NBC has been dedicated to discovering and nurturing on screen and behind-the-camera talent of diverse and inclusive backgrounds through the NBC Talent Infusion Programs (NBC TIPS). NBC TIPS are amongst the most extensive and robust diversity and inclusion programs in the television industry. They feature more than 20 programs including Writers on the Verge, the Diverse Staff Writer Initiative, Female Forward, Emerging Director Program, StandUp NBC nationwide search for stand-up comedians and the NBCUniversal SHORT FILM FESTIVAL that celebrates diverse stories and the filmmakers who create them. Program alumni are celebrated producers, writers, directors and actors in the entertainment industry who have gone on to win Emmys, Golden Globes and SAG Awards and include Alan Yang, Mindy Kaling, Deon Cole, Lil Rel Howery, Keto Shimizu, Natasha Rothwell, Danny Pudi and Danielle Sanchez-Witzel. For more information, visit NBCUniTIPS.com.